Do you find yourself asking how to control anger with kids? 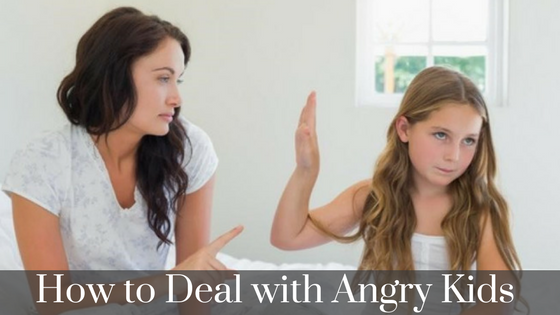 Are you searching for how to deal with a child with anger issues? The topic of anger within families is an important one, and helping kids starts with parent anger management. The negative behaviors associated with child anger can disrupt life outside of the home and have negative social and academic consequences. There is a strong case for improving parent anger management in current research. 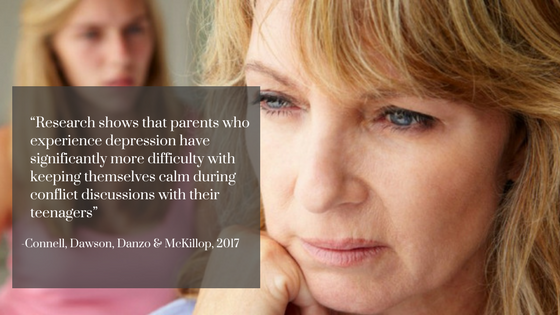 Connell, Dawson, Danzo & McKillop (2017) found evidence relating parent’s nervous system activity to their observed emotions during interactions with their children through neutral, negative, and positive discussion conditions. An important finding from the study was that parents with difficulty regulating their emotions (such as is the case with parent depression) had difficulty managing their own emotional responses during conflict-laden interactions with their children. This research builds upon past research (e.g., Fabes, Leonard, Kupanoff & Martin, 2001) examining the relationship between parental distress and negative emotional and social outcomes for children. -Take a deep breath and exhale slowly. Repeat several times before you interact with your child. -Make breathing a daily practice to aid in keeping a baseline of calm. -You can even make deep breathing a family activity to do on a daily basis, such as before bedtimes or before mealtimes. Check your personal anger beliefs. We all have them, what are your beliefs about how to control anger with kids? – Is your child’s anger unacceptable in your home? Anger is a normal, healthy emotion that children need to express in a safe manner (i.e., verbally), and children have a right to have their own feelings. – Is your child’s anger really about fear? Anger is a secondary emotion. What is worrying them? – Can your child understand your requests? Match expectations to developmental level. – What adaptive coping strategies do your children have to follow? If they see you acknowledging anger, expressing anger assertively and managing physical reactivity, they will want to follow your lead. – Any validation? “I see that you are angry. Let’s talk. Let me listen.” Translation: “You matter.” Result: immediate diffusion of the anger feeling. When Should you Seek Help When you’re Dealing with an Angry Child? If you’ve done all you can do to try to help your child, it’s best to reach out to a family therapist for help. Sometimes it can be challenging to know if it’s a phase or if your child’s anger is a long-term problem that needs to be addressed. Look at this list of signs to help guide you about when you should seek the help of a professional. Hitting peers, resulting in social and disciplinary consequences at school. Damaging property in anger, on a regular basis. Hurting themselves in anger, on a regular basis. Difficulty maintaining friends at expected stages of development. Teacher reports and observations include anger outbursts or oppositional behavior. Explosive outbursts, on a regular basis at home and/or in public. She can’t control her aggressive impulses and hits people (other than siblings), past the age of five. Frequent explosive outbursts, indicating that he is carrying a full ‘tank” of anger and other upsets, that’s always ready to spill over. He hurts smaller children or animals. If you have any questions or want to seek help from a licensed family therapist feel free to call our office to schedule an appointment and we’d be happy to help. Connell, A.M., Dawson, G.C., Danzo, S., & McKillop, H.N. (2017). The psychophysiology of parenting: individual differences in autonomic reactivity to positive and negative mood inductions and observed parental affect during dyadic interactions with children. Journal of Family Psychology, Vol. 31(1), pp. 30-40. Fabes, R.A., Leonard, S.A., Kupanoff, K., & Martin, C.L. (2001). Parental coping with children’s negative emotions: relations with children’s emotional and social responding. Child Development, Vol. 72(3), pp. 907-920.